Additional Notes: Also press fit into 2 1/2" 13g, 2 3/4" 7/32", and 3" 11/32" tube. 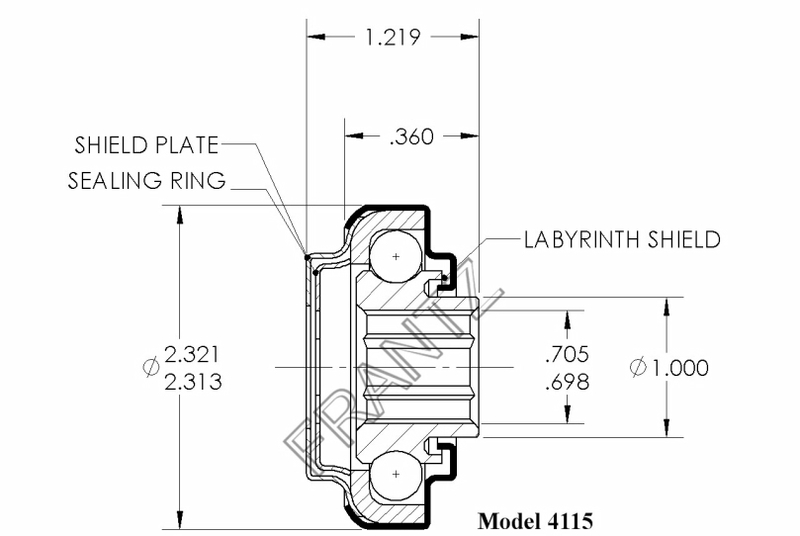 Model 4115 is often used as a replacement for Litton bearings. Litton Unit Handling Systems no longer manufactures bearings, however their products had an extensive installed base, occasionally still seen in operation today.